The Homeless World Cup is a tournament organized every year and hosted around the world. This year the tournament will take place in the South American country of Chile. This year it will be the twelfth edition of the tournament, being hosted by Poland last year this time around Chile will have the privilege to host this event. The tournament will take place between the 19th to the 26th of October, with 70 nations and 250,000 players taking part in the festivities. 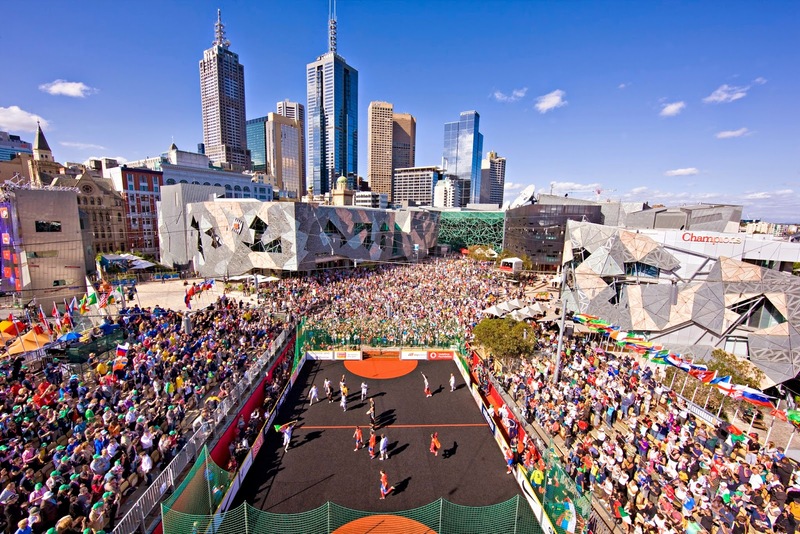 The Homeless World Cup organization was founded by Mel Young & Harald Schmied in 2001 to help find a solution to homelessness around the world, since then the tournament has been hosted in some of the world's largest cities like Paris, Milan, Mexico City among others. The rules of this tournament are different from what football fans have grown used to. This is not your typical football match or even futsal game. For a player to be eligible to play he or she has to be 16 or older and not have played at a previous tournament. The player will also have to fit into one of these four categories: be homeless, be in a drug or alcohol rehabilitation center, be an asylum seeker or make his/her living by selling street papers. On the field you will only see 4 players, a keeper and 3 field players. Each team can have 4 subs and substitutions are unlimited. In case of victory the winning team gets 3 points, the losing team gets 0 points. If the game ends in a draw there will be a penalty sudden death shootout. The winner of the penalty shootout will get 1 point. The games have 7 minute halves and the fields measure 22m long by 16m wide. The list of participating countries is vast. From Canada, to Portugal, USA, Italy and Ivory Coast. Most countries are or have been represented at the tournament. The most successful countries in the tournament have been Brazil, Italy and Scotland. These three countries all have 2 titles. Brazil is also the current champion having won the tournament in Poland in 2013. Chile will be hosting this year and it is a great opportunity for all these players to travel to South America and experience it in a country with a rich footballing tradition. One of the most famous players to have been associated with the Homeless World Cup is Bebe, the former Manchester United striker. It has been reported that Bebe represented Portugal at the Homeless World Cup, and this is not true. 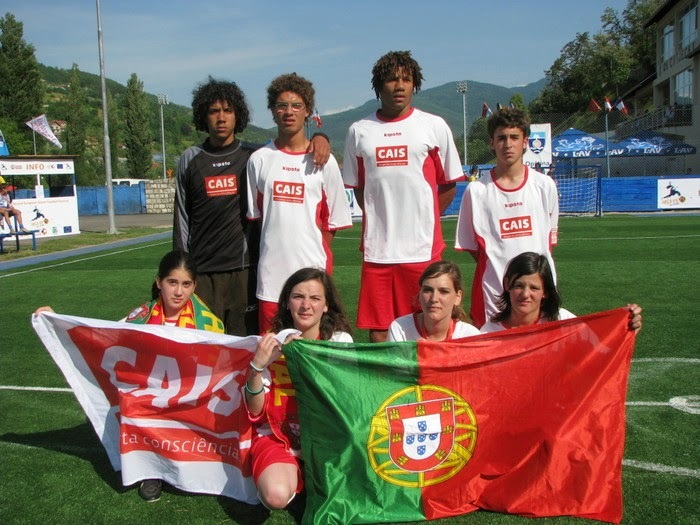 Bebe was living in a shelter for troubled youth in Lisbon when he was selected with two other boys to play for CAIS, a partner organization that supports the Portuguese teams entering the Homeless World Cup. While playing for CAIS he was scouted and in in 2009 he signed with Estrela da Amadora, his stay there was brief and after a transfer to Vitoria de Guimaraes in 2010 he was sold to Manchester United for a reported $7.4 million pounds, without ever playing a professional game. He is currently on loan at Pacos de Ferreira of the Portuguese 1st division. There is no TV coverage of the tournament, but you can catch some matches on Youtube. Over the last couple of years there has been some documentaries done about the tournament. The best of these documentaries is called "Kicking It". It covers the 2006 Homeless World Cup in South Africa and it is narrated by Colin Farrell. It is amazing documentary, giving you an inside look at several of the teams and players at the tournament, showing you how they got there, how they played, and most important what was life for them after the tournament was over. It is an amazing documentary that i highly recommend. You can support these efforts by donating at their site www.homelessworldcup.org, they can use the help and you would be supporting a worthy cause. We at footyfair will be covering this years tournament with analysis and highlights of some of the matches, anytime footage is made available to us.